It all started with a simple tweet from @AvailablePitch: "Anyone stayed in a pod or wigwam? What's it like"? 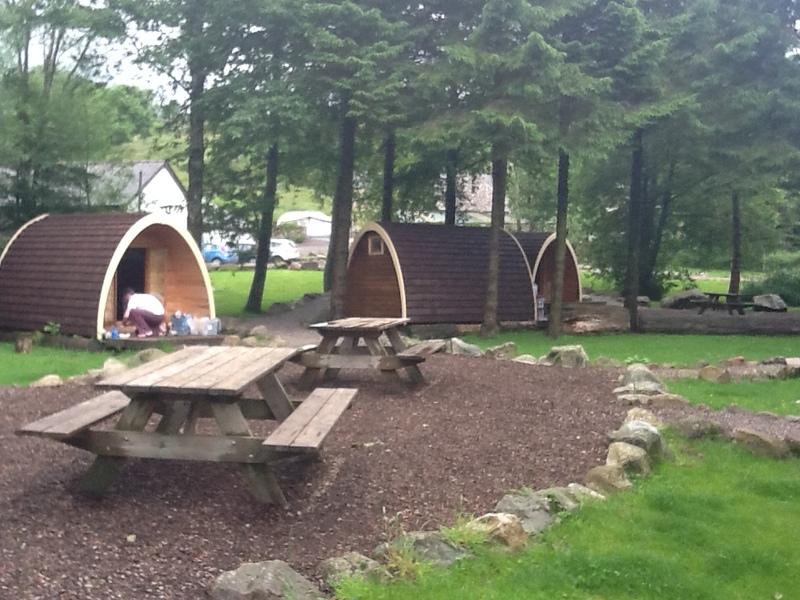 Straight back came a reply from Eskdale Campsite "Come and stay with us - our guest - first campsite in UK to have pods." 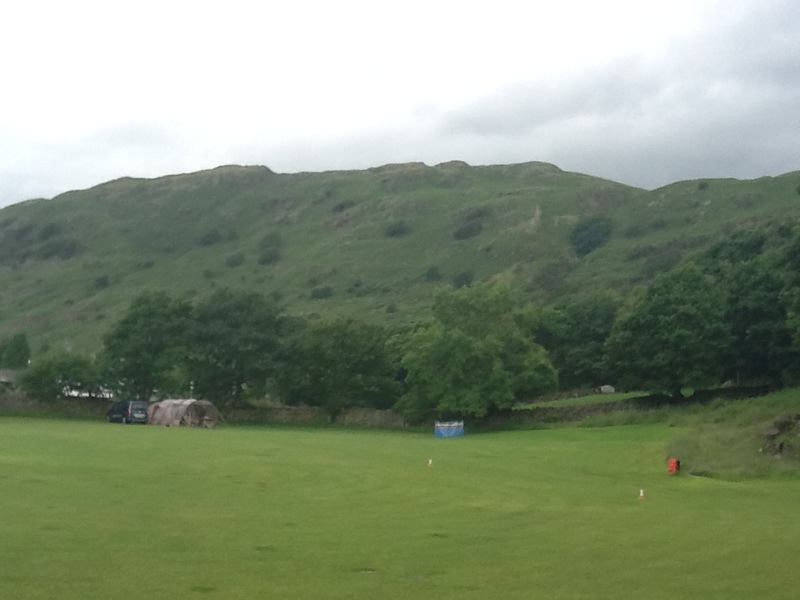 A quick phone call later and we were booked in for late June - you know - when the weather is at it's very best . . . . . .!? Formerly Hollins Farm Campsite, Eskdale Campsite is now a Camping and Caravanning Club franchise site run by enthusiastic and hard working husband and wife owners Martyn and Sarah Merckel and a team of friendly assistant wardens. 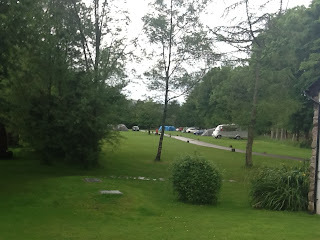 Campsites like this are getting fewer with the onslaught of hard-standings, electric hook-ups, free wifi and TV cables. There's none of that at Eskdale Campsite. Purists, Martyn and Sarah believe in basic camping at it's best, but with the important essentials like 5* shower block, loads of hot water, a well stocked shop (with all those items you have forgotten), a drying room and most of all a warm welcome to people of all ages from 9 weeks to 96 years, whether they are in a tent, a campervan or hiring a camping pod. Oh, they also have a wonderfully cosy Camping Barn with a wood burning stove (logs provided) which sleeps up to 8 people. 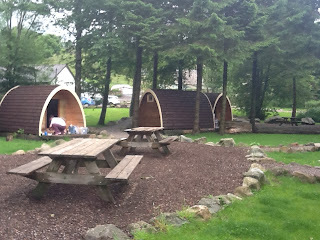 Talking of camping pods (as in the title) - more in the next blog . . . . .